I have a confession to make. I don't understand boot cuffs. Maybe it is because I don't wear boots, but I just don't get it. These things are all the rage and I just don't understand them. As a result, I've never made any. That is, I hadn't until a friend of mine begged me to make some. Challenging in and of itself, yes. But then she threw down by choosing Lion Brand Homespun yarn. I say "threw down" because there are no free patterns out there for boot cuffs using Homespun. There may be a paid one, but I wasn't interested in looking at paid patterns. So this is how a person who knows nothing about boot cuffs decided to design a pair. I did a fair bit of research. Turns out the standard cuff is between 12 and 13 inches in circumference, so you need to be certain you are taking careful measurements. You also want the cuff to be tall enough to stick out of the top of the boot, but low enough that it can hide inside the cuff as well. Good gravy. Do you see the challenge I had here? I spent most of the week playing around until I came up with this pattern that seems to work and is pretty darn simple. Row 1: 1 sc in second chain from hook and in the rest across (8 sc). Row 2: 8 sc across. Chain 1 and turn. 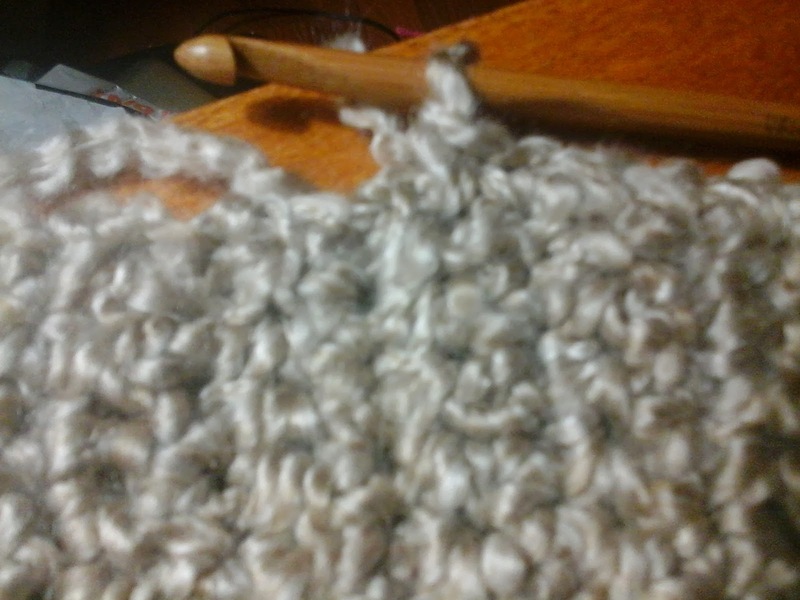 1) Slip stich beginning and end together to form cuff. 2) Use the join as you go method of taking the loop off of your hook, inserting the hook into the side you want to join with and pulling the loop through that side. Form a SC back on the other side. This forms a seamless join. 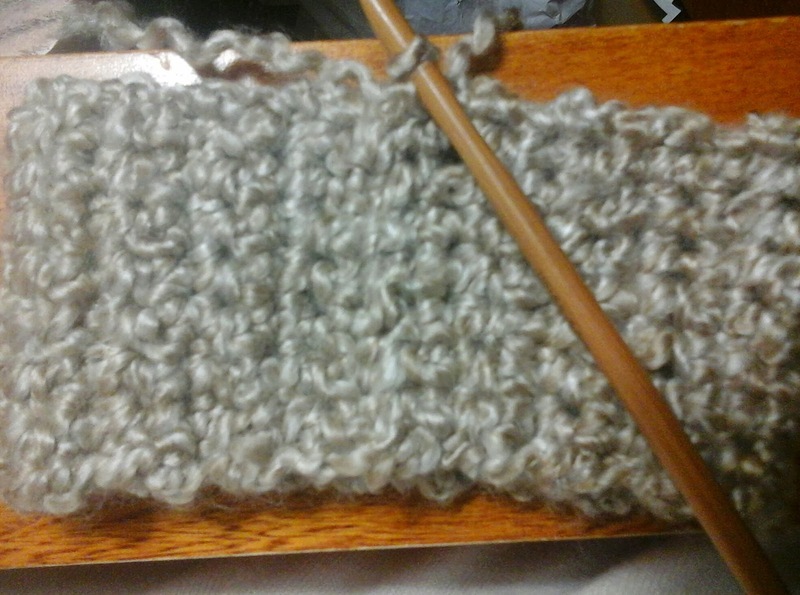 After joining, continue the cuff by crocheting around one side of the cuff. Repeat this row for 10 total rows of sc. Attach your fancy schmancy button on the vertical SC rows. 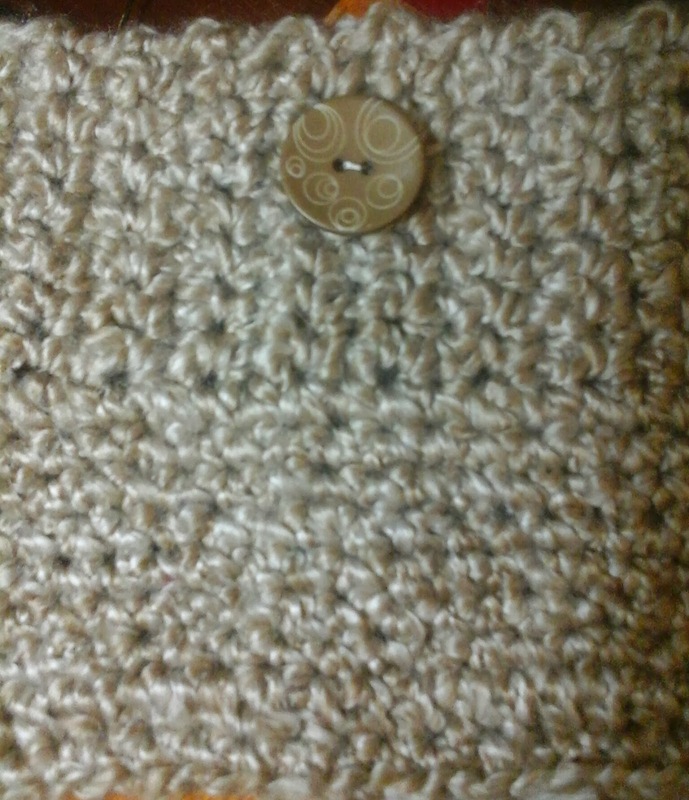 If possible, use a strand of the Homespun yarn to attach the button.